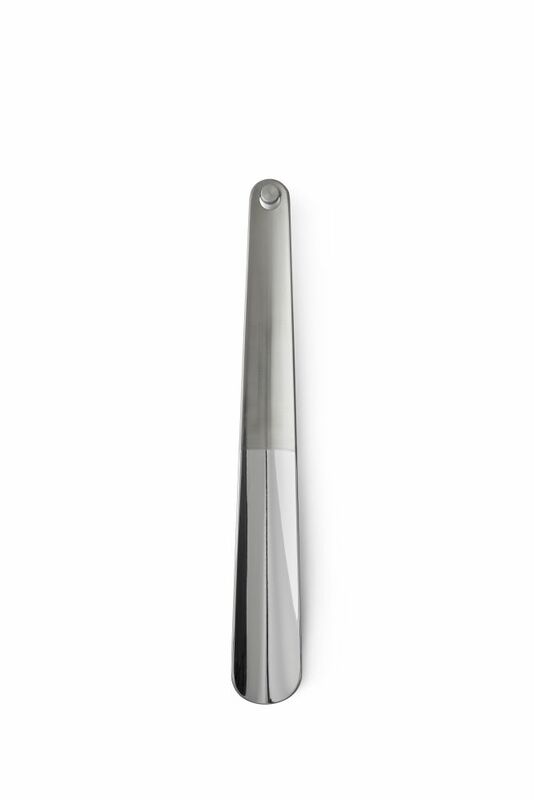 Minimal, elegant and comfortable to hold and use, the Mindum Shoehorn’s function is to elevate the experience of putting on shoes with ease and a touch of flair. Throughout history there are countless examples of shoehorns whereby the handle is elaborately embellished, tarkly in contrast with the clean utilitarian look of the actual ‘horn’ end. Ideal to be hung on a wall, it will be at arm’s length from where shoes are put on in the hallway of a home.